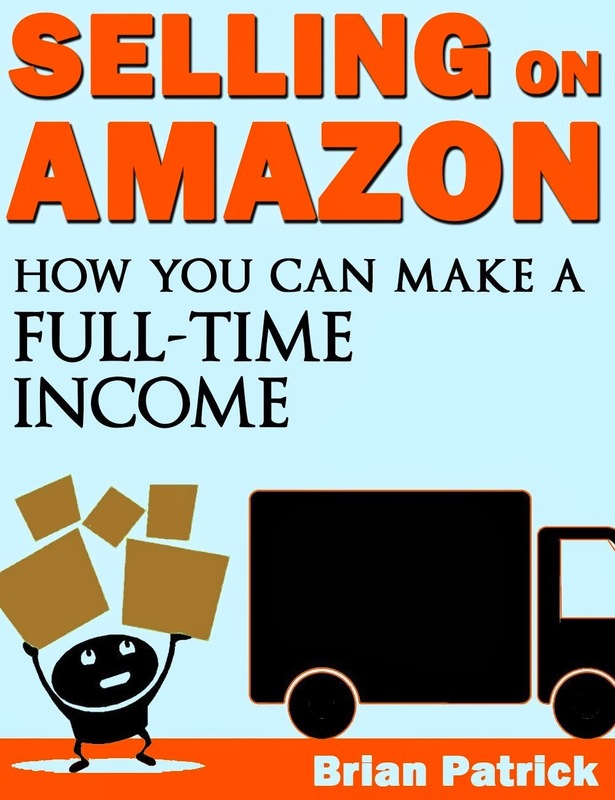 The premise of Brian Patrick's book, How You Can Make a Full-Time Income Selling on Amazon, seems too good to be true--work part-time and earn a full-time income by selling on Amazon. At first, the book reminded me of all of those books I read five years ago about making fast money selling on eBay. However, a few chapters in, I began to see all of the advantages that selling on Amazon has over selling on Ebay. I think you'll agree. Brian Patrick is a man in his mid-twenties living in New York City working a full-time job. Selling on Amazon is his side gig, and he makes on average $2,000 to $3,000 profit a month. How Is Selling on Amazon a Risk Free Business? One of Patrick's promises is that selling on Amazon is a risk free business. Indeed, if you're organized and detail oriented, this is true. If your item is not selling well, return it to the store where you bought it within the return window, and you're not out any money. Patrick explains that Amazon offers a wonderful service--FBA. This stands for Fullfillment by Amazon. In other words, you buy the product and send it to Amazon. Amazon stores it, packs and ships it out when it sells, and handles any customer service issues. In addition, unlike sellers who ship out products themselves, your products are eligible for free shipping through Amazon Prime, giving you an advantage over the other sellers. The cost for FBA? Nothing. The service is free. Besides this major selling point, the other advantage of selling on Amazon is that the site has become the place most people check first when they want to buy online. You don't have to do any marketing; Amazon does it all for you. Patrick shares what products he likes to sell, but he encourages readers to find their own niches they feel comfortable with. In addition, he explains techniques he uses to get the lowest prices to maximize his profitability. If you're a seasoned bargain shopper, this part should be easy for you. Surprisingly, many of Patrick's items come from stores like Staples and Kohls. This book is a quick read. Conceivably, you could read it in one morning and begin implementing his strategies that afternoon. If you're looking for an additional way to earn through another stream of income, you may want to check out this book. Patrick clearly explains the steps he takes to earn a few thousand a month, and he makes it sound like anyone can replicate his success.